Niall Horan is recording a performance of songs from his debut solo LP 'Flicker' with a 45-piece orchestra. The 'Slow Hands' hitmaker has teamed up with conductor Gavin Murphy and the RTÉ Concert Orchestra for the unique performance recorded today (16.04.18) at RTÉ Radio's Studio 1. The Irish hunk commented: "I made an album that came from the heart, my heart is in Ireland and I feel that there's no better way than to go on national television and play those songs with a 45-piece orchestra - and the RTÉ Concert Orchestra is one of the best in Europe, if not the world." On working with Niall, Gavin said: "All of us at the RTÉ Concert Orchestra are really looking forward to working with Niall and his band. Studio 1 is a very special place for music and we are very excited about playing our arrangements of his great songs. "We had a rehearsal on Friday (13.04.18) and there was a bit of magic in the air - and hopefully this will give his fans around the world a chance to hear Niall performing his big hits in a brand new way." The recording is set to be broadcast on RTÉ One sometime in May. Meanwhile, Niall recently revealed he wants to collaborate with the Eagles' Don Henley after his family practically "adopted" him. The One Direction star met the 'Hotel California' hitmaker after hanging out with his daughter Annabel, and was left gobsmacked the singer and percussionist agreed to be a part of his 'Flicker' album documentary for Apple. He said: "I'm like the family's adopted son. "He hardly ever does interviews. For him to say yes to doing an interview for me was good enough. He could have done the worst interview of all time and I wouldn't have given a sh*t! Don agreed to do that for me." 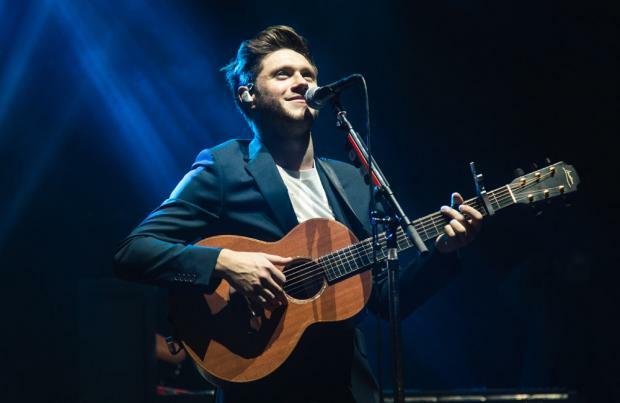 The 24-year-old Irish heartthrob says he would love the chance to get into the studio with Don - who is also a successful solo artist - but admits he'd probably be so in awe of his idol he'd forget how to play his instrument. He said: "Imagine that. There would be nothing better than to be sitting in a room with my guitar in my hand with Don Henley, writing a song together. "I'd probably forget how to play guitar. Just to have a jam with him would be enough, but imagine being on a song with Don Henley. That's the dream."